Inspired from PHP Framework Laravel's validation. 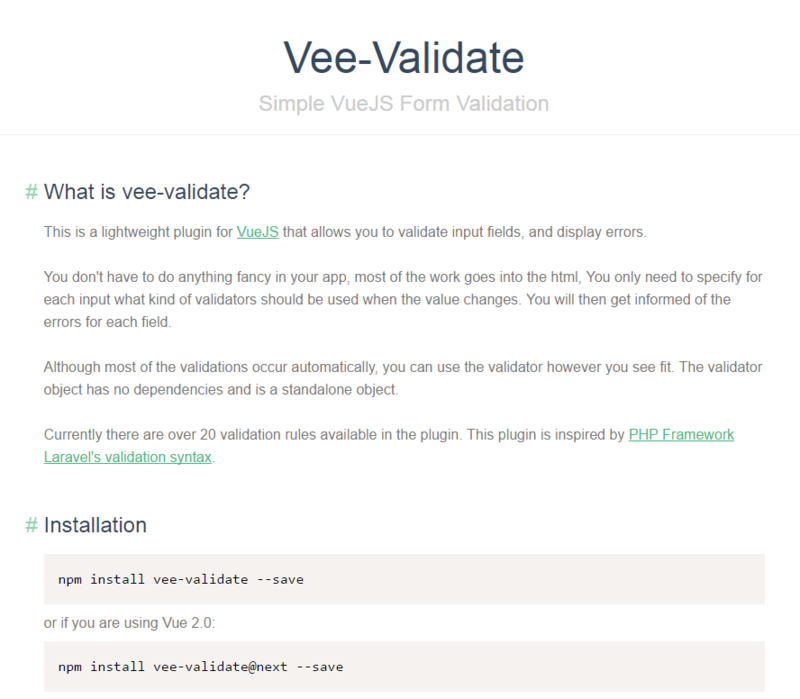 It has simple use as to define validators you can specify them directly in the HTML. Apply the v-validate directive on your inputs and a rules attribute which is a list of validations separated by a pipe, like so: data-rules="required|email"
You will then get informed of the errors for each field. Check Github for full documentation and examples.